Use the form below to inquire about Cozy Homestay At Pozuthana . Use the form below to reserve for Cozy Homestay At Pozuthana . This holiday cottage has one room with attached bathroom and a private balcony. This cottage can accommodate a family of 2 adults & 2 kids. Hot and Cold Running Water, Private Balcony/Verandah, TV with cable connection in each rooms. 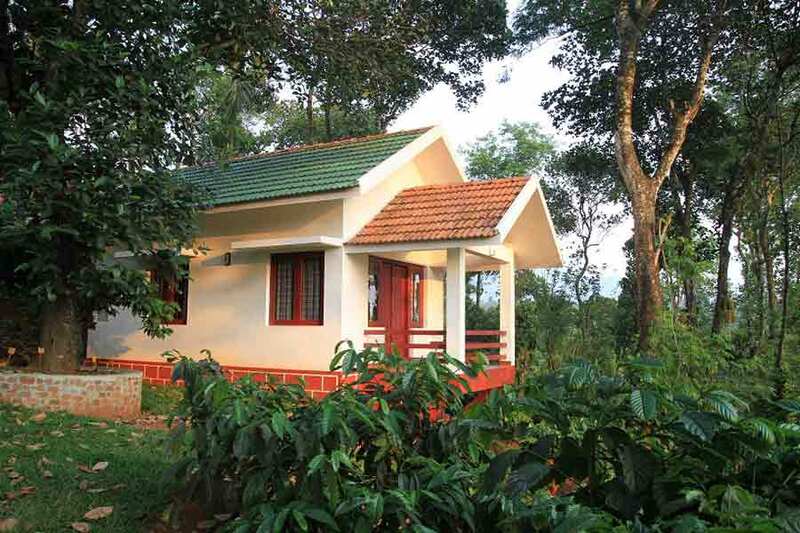 This Cozy Homestay at Pozuthana is encompassed by 30 acres of farmland which include spices like pepper. The aroma of the pristine air of this piece of land can be incredibly rejuvenating. This temple of tranquility also offers an enchanting view of Vythiri, Wayanad and its picturesque hills. This cozy Homestay at Pozuthana consists of a bungalow and charming wooden hut accommodations atop a mesmerizing hill. 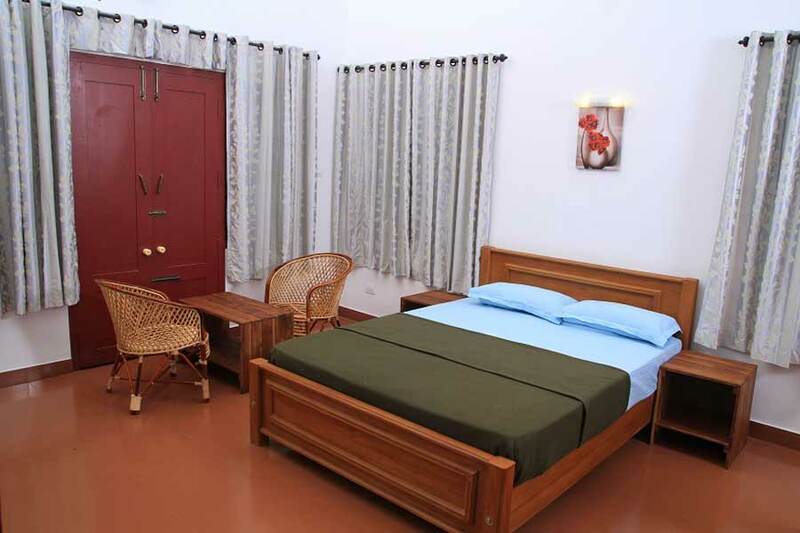 The rooms, with all modern amenities to pamper you in the lap of luxury and nature, are immaculately kept. The tones of gold and amber on the walls resonate calming magic and ooze homely ambiance. All rooms together can accommodate three families or 12 people in this amazing paradise of peace and tranquility. 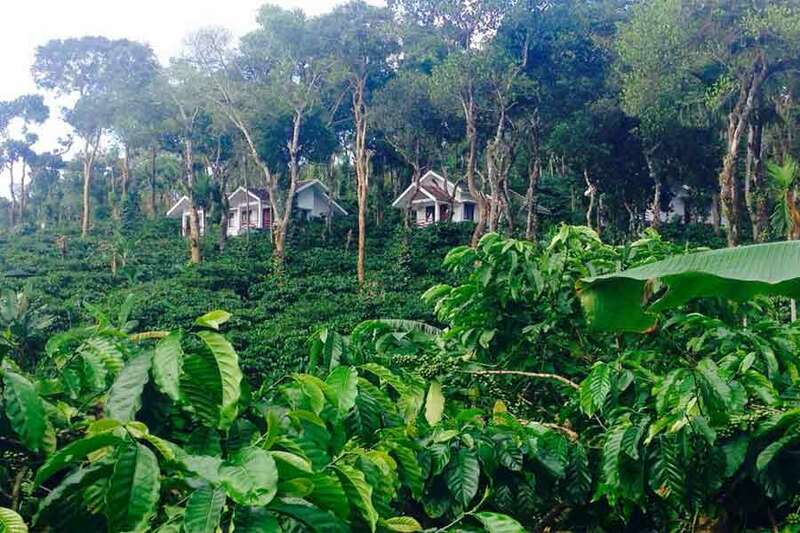 Camping in tents, right in the middle of the coffee plantation, is a unique experience offered at cozy Homestay at Pozuthana. Sightseeing packages of varying durations are also offered at this Homestay. Popular attractions of Wayanad, as well as some spots of Calicut, are covered in these trips. Trekking expeditions through the plantation and bamboo river rafting can also be arranged by the hosts. Facilities like the library, indoor games room, outdoor games, and covered car parking are available while services such as tour assistance, pick up and drop can also be arranged. The hospitality and warmth that this leisurely Homestay at Pozuthana exudes are sure to remain in your memories forever. The homely Kerala cuisine is lip-smacking. The subtle flavors give you the feeling of a feast relished at your own home. 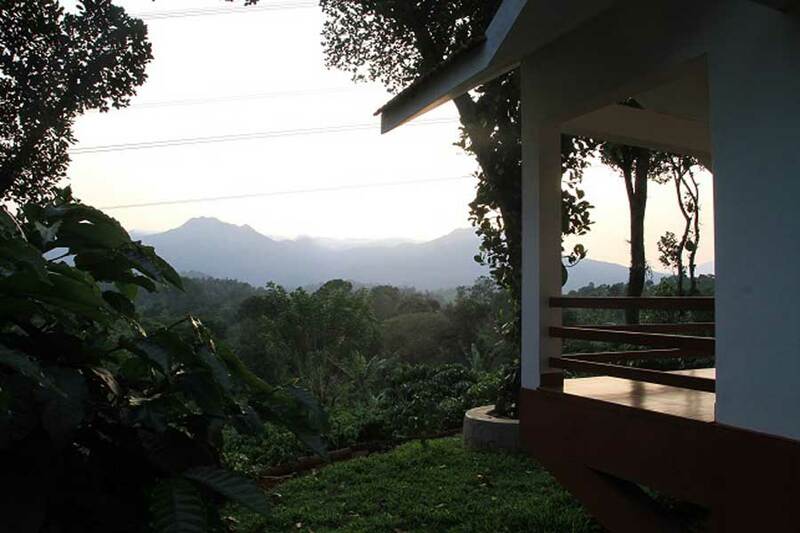 The coffee shop at the homestay is a popular joint to unwind and bond as you drink in the spectacular views around. The lively campfire, sumptuous barbeque, and candle light dinner can be arranged on special request. While some indulgences come as a part of the package, others might cost you extra. This Homestay at Pozuthana is the perfect getaway to hang out with friends or for a family reunion. Dinner - Rs. 350 per head. Confirmed bookings may be altered /canceled only if intimation in writing reaches us in 30 days prior to check-in date. Any cancellation between 30 days to 15 days prior to check-in date would attract 50% of the total cost of the booked period. Any cancellation less than 15 days prior to check in would attract 100% of the total cost of the booked period. A trek or nature walk through the premises is the perfect way to start your day. Bamboo rafting on the Kabini River is a thrilling activity organized by the homestay. Feel the excitement as you cruise in a catamaran, getting up close with the waters. 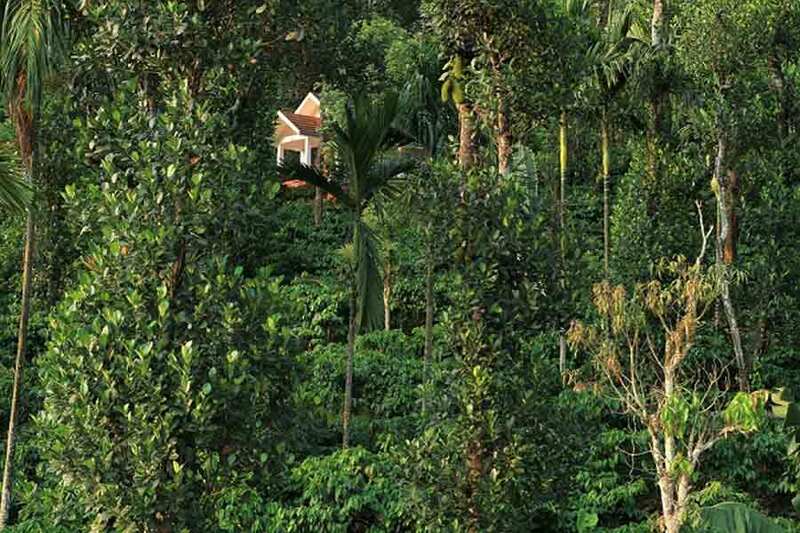 Plantation tours through the premises will rejuvenate your body and senses alike. Outdoor game like badminton is a perfect way to connect with your loved ones. Engage in indoor games with your family or friends and cherish the quality time spent together. The in-house library is stacked with books of every genre. Find a tranquil nook to sink into with your pick. 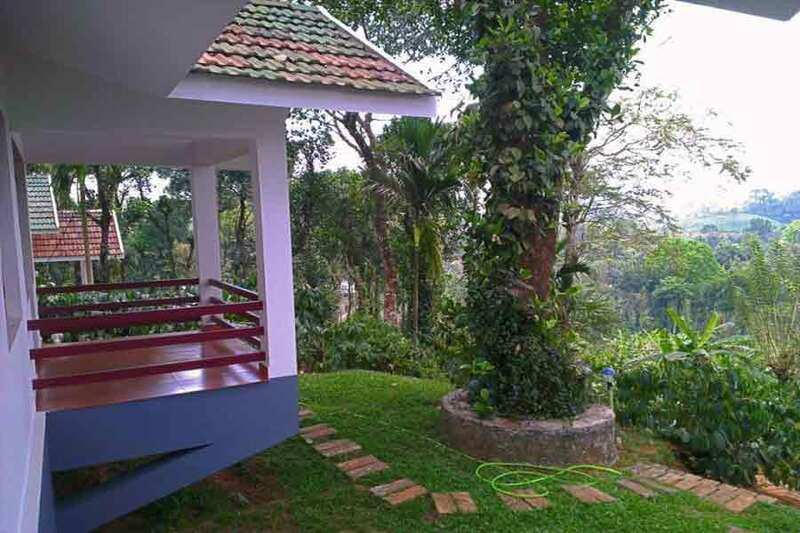 Camping in tents at the heart of the lush coffee plantations is an enthralling and out-of-the-box experience you can enjoy at Pozuthana Homestay. The sightseeing package offered by the homestay takes you through the stunning natural waters of Pookkote lake ,the majestic Banasurasagar Mud Dam and its placid catchment haven, powerful and gorgeous Meenmutti waterfalls, thundering and gushing Soochippara waterfalls, Edakkal Caves with centuries-old stone inscriptions, the raw and rugged wildness of Muthanga Wildlife sanctuary through a safari, Thusharagiri waterfalls, and the Calicut beach and market. Calicut is the nearest airport which is around 70 km away (approx 2 hrs). From Calicut city, drive towards Thamarasseri and stay on NH 766 until you reach the town of Vythiri. After crossing the Juma Masjid at Vythiri, take a left to hit the Tharuvana- Vythiri Road. Proceed on this road until you reach Pozhuthana. At Pozhuthana, take a right to Anoth road and this road will take you to Anoth. Take a right at Anoth and drive for about 400 meters to reach the Homestay. 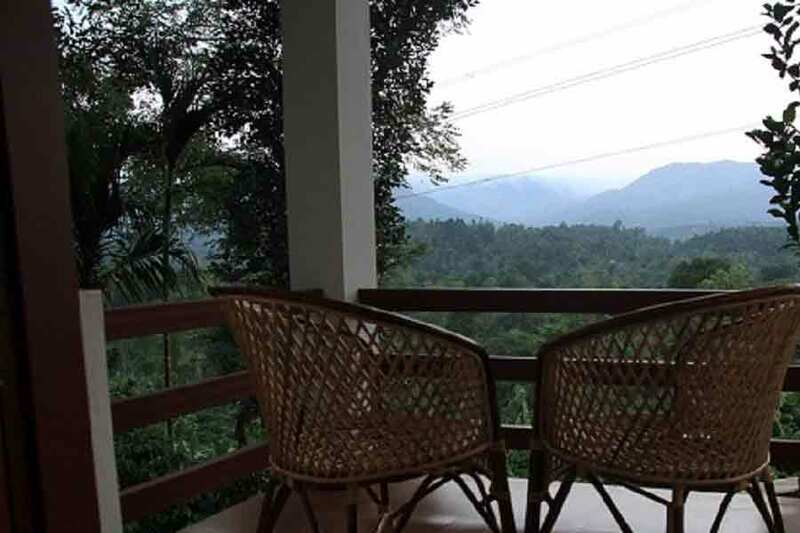 Sprawling over a 30-acre coffee plantation that is the epitome of greenery and tranquillity, this stunning homestay is located in Vythiri district of Wayanad, Kerala. 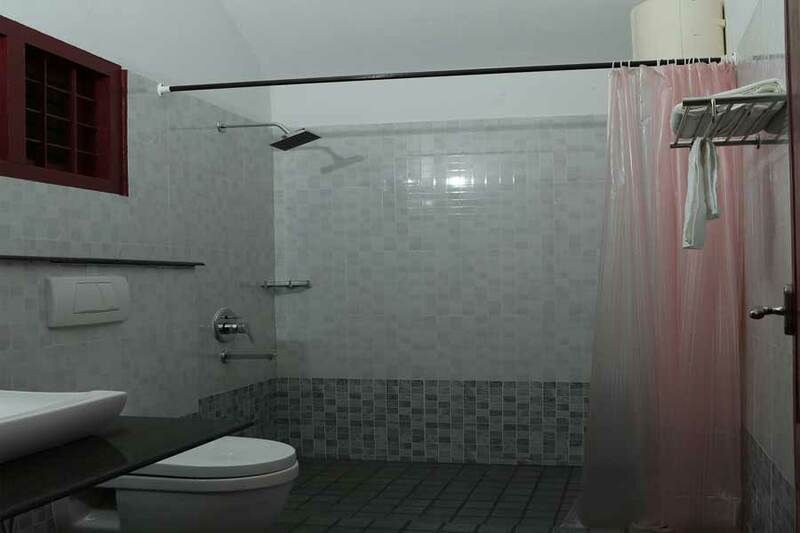 An old bungalow fully renovated with all the basic amenities, it is perfect for groups of friends or large families seeking to spend some quality time together. The four beautiful cottages each offer spectacular views from the balcony where you can sit and soak in the peace and commune with nature. Every room has a TV with cable connection though your surroundings are more likely to capture all your attention. The deluxe room is two big rooms with four beds each which can accommodate up to eight people at a time. The food served is authentic Kerala cuisine, home cooked with locally sourced ingredients and a great deal of care. The host of this homestay is a wonderful person who, assisted by the manager, will personally look into all the details to make your stay a pleasant one.